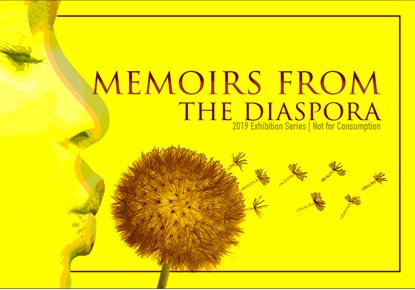 Thursday, Feb. 21, 2019, 6 – 8:30 p.m.
A program exploring the Black Diaspora through the witness of Black media makers. How are Black film, media makers and interdisciplinary artists reimagining liberation as the 21st century unfolds? The February 21st installment of the immersive arts exhibition and discussion series “Not for Consumption” raises rousing questions about Black Diasporic experience, while showcasing innovative film and media makers whose creative impact transcends conventional art world standards and connects communities to first person stories. You won’t want to miss these stories of reverence and reclamation that meaningfully ask how memory and culture can help heal generational traumas while making a more inclusive understanding of beauty.